Researchers with the European Southern Observatory have taken a new look at Gliese 667C, part of a trinary system in the constellation Scorpius. Gliese 667C is already something of a phenomenon, with the total planet count now standing at 7. 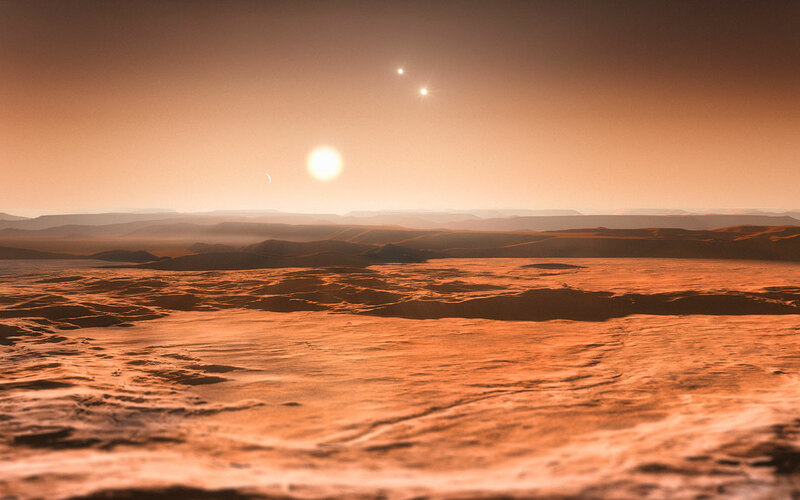 Using imaging from several different telescopes, astronomers have determined that the small star has three large rocky planets or “super earths” orbiting within its habitable zone. The possibility of multiple planets with liquid water on the surface within the same system, all only 22 light years away is an intriguing, and even tantalizing find which suggests that the “local” neighborhood could be brimming with possible abodes of life. The full story can be found here.